Mozilla is rolling out major updates to the Android, Windows, Linux, and Mac versions of Firefox. The update brings improvements in terms of security, performance, and stability and while we recently discussed major changes in Firefox Quantum 58 for desktop, let’s now look at the under-the-hood enhancements that make Firefox 58 on Android faster and more convenient to use. A significant addition is support for Progressive Web Apps (PWA) which are typically websites designed to mimic the usability of Android apps. While the basic idea behind these Web Apps is to allow users evaluate apps before downloading, these can be used as an alternative to the native app, especially on smartphones with low specifications. PWA are already supported on Chrome as Google is driving the initiative for full-fledged app experience on low-powered devices. Firefox users can simply save these apps as a shortcut on their smartphone’s homescreen and also receive notifications from these apps. 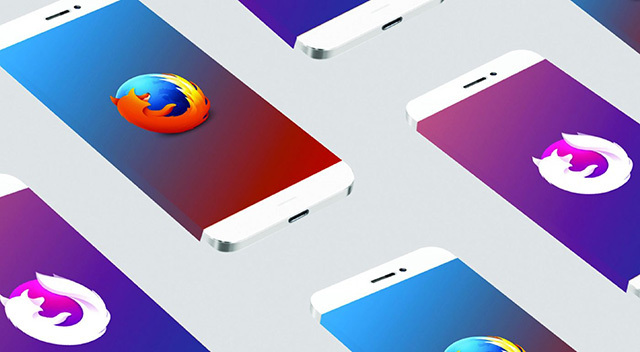 Firefox for Android is getting an improved ability to cache and load pages which will result in faster loading. This, as we recently explained, is because of a new mechanism to deal with packets of data that combine to form a web page or media file. Additionally, Firefox 58 brings support for FLAC (free lossless audio codec) for superior quality audio. You can play FLAC files directly from the browser with no degradation. Aesthetic changes brought about with the update include the ability to change status bar color to your liking and an overhauled full-screen bookmarks page with features to manage folders and screenshots better. You can also limit the syncing of your Mozilla account to “non-metered” connections such as Wi-Fi. Moreover, Mozilla has added support for Nepali and Bengali languages. Furthermore, Mozilla had recently announced that it is set to pull the plug on insecure connections and only serve connections via “secure contexts” i.e. HTTPS protocol. The upcoming update of Firefox will allow users to disable notifications, mic and camera requests, and location prompts. In case you want to try out the new features, you can download Firefox from Google Play Store for free.